A proud Brummie celebrity chef is rearing to open a new city centre restaurant in spring. The award-winning chef Aktar Islam said it will be “one of Birmingham’s iconic restaurants”. 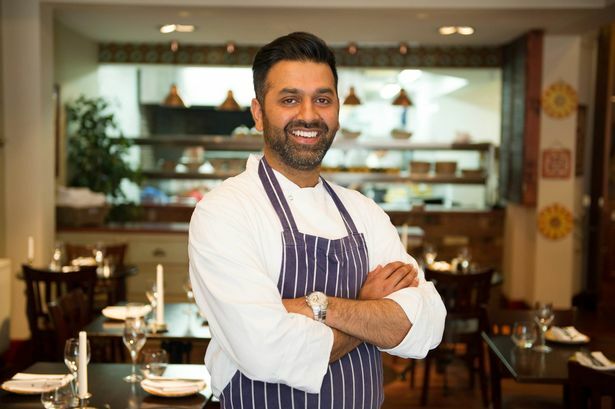 The 38-year-old was chef director at Lasan which opened in the Jewellery Quarter in 2002 became the first Indian restaurant to be selected as ‘Best Local Restaurant’ by Gordon Ramsey on Channel 4’s The F Word. Aktar announced he was stepping down from his role as chef director of Lasan Group in September last year, to pursue other opportunities in the industry. Aktar added: “Ten years ago, I started a very exciting journey with my fellow Brummie chefs and friends – Luke Tipping, Glynn Purnell, Brad Carter, David Colcombe and Andy Waters – where we all worked tirelessly to change the world’s opinion of Birmingham and to make it a centre of culinary excellence, which I feel we achieved. “For various reasons, there has been a break in that journey. Not anymore. I’m going back to doing what I love, cooking and being in the kitchen, where I belong. The Birmingham born chef made his name with his creative, fine dining take on Indian cuisine during Gordon Ramsey’s The F Word in 2010.